The appearance of this new arrival tea “Yunnan Palace Ripened Pu-erh Loose Tea 2005” is tight and straight. 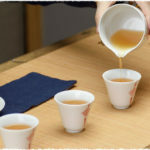 The tea liquid is bright and clean in brown color, has rich aroma. The taste is mellow and full. What’s more it is convenient to steep. Pu-erh is a unique famous tea from Yunnan and is also called “the edible antique”. It will become more precious with the increase of time. Pu-erh tea belongs to post-fermented tea, so the tea is mild and does not hurt stomach. The Palace Pu-erh Tea is the highest grade among all other kinds. Since Qing dynasty, it had already been chosen as tribute tea. 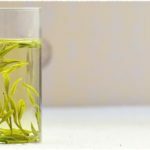 It was said, during the Qing dynasty, the imperial family will select all the most tender tea buds in February of each year, and made them into the best quality Pu-erh tea. Only after that, the rest are allowed to be picked and sold to the folks. That’s how the Palace Pu-erh comes. 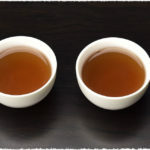 Therefore, though Pu-erh tea is served to common people, its quality cannot compare with the royal Pu-erh tea. Do you want to experience the royals treat? Click this link to buy now: https://www.teavivre.com/yunnan-palace-loose-ripened-pu-erh/. You can have 15% discount.